Welcome to Marvel Mythos! Below is a catalogue of the episodes we've posted so far. These podcasts are evergreen and follow no continuity (unlike comic books), so don't be afraid to jump in at any point. On our special Halloween episode host Brian is joined by one of the Jake's, Mccausland, and Liz to talk about Marvel Zombies #1-5. On this episode the Jake's return as Brian hosts a discussion on Operation Galactic Storm issues #12-19, Captain America #401 & Quasar #35-36. On this episode host Brian brings back the Jake's, Mccausland and Goff, to discuss the first 11 chapters of Operation Galactic Storm. 5. Wonder Man is Vision's dad? Special guest host Austin Pflum is joined by Liz Sparks and Dave Embry to discuss The Amazing Spider-Man #359-363. Travis "Loud Spice" Tubesing & Matt Applegate once again join host Brian Byrley to talk Uncanny X-Men #287-290, X-Men #8-9, & Ghost Rider #26-27. Jake Mccausland & Liz Sparks join host Brian Byrley to discuss Warlock & the Infinity Watch #1-6. Is Uncle Ben a member of the Living Tribunal? 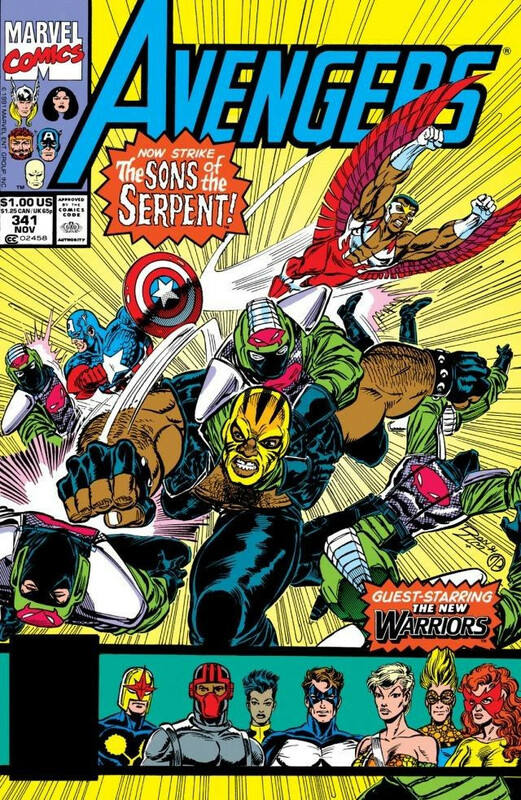 Host Brian Byrley is joined by the Jake's, Mccausland and Goff, to discuss Avengers #340-344. Host Brian Byrley is joined once again by Liz Sparks & Dave Embry to discuss The Amazing Spider-Man #353-358. Brian Byrley is joined once again by "Loud Spice" Travis Tubesing & Matt Applegate to discuss X-Men Vol. 2 #4-7 & Uncanny X-Men #284-286. Host Brian Byrley is joined by "Loud Spice" Travis Tubesing and Jake Mccausland to discuss Infinity Gauntlet issues 1-6. 3. Does it even matter? 7. Warlock - hated or loved?